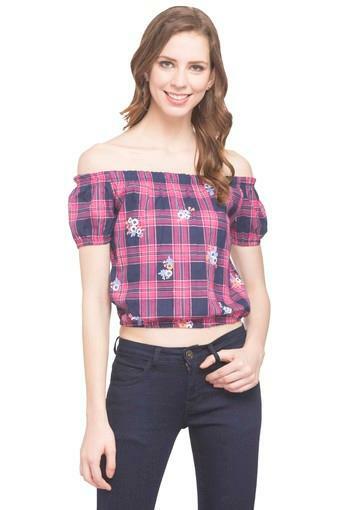 Add a dose of style to your wardrobe collection with this top from the house of Life. It comes with a check pattern that renders it trendy. Furthermore, it is tailored with a fine quality fabric that will provide you with maximum breathability. It also features an off shoulder neck, which is the main attraction. Crafted with care, this off shoulder top will be an ideal pick for you to wear for casual occasions. 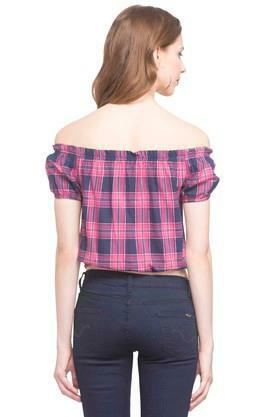 You can team it with a pair of jeans or shorts and heel sandals to put your best foot forward.